It’s a 20-hour flight from my office to Dave Taylor’s office in Sydney, Australia. And despite the distance, we share a similar, very closely tied mission. We are both seeking to share the gospel with our neighbors. We both help to lead our local churches. We both invest in the mission of our family of churches with a desire to see more churches planted for the glory of God. And, yet, the mission fields we are called to look very different. Dave leads the Asia-Pacific region. Currently, his region consists of three churches: Sydney (which Dave leads), Seoul, South Korea and a church in the Philippines. And there are a few other churches that will likely be added in the next year or two. The region spreads many miles, but like my connection to Dave through our shared mission, this region shares a close mission. They long to see God move in their corner of the world, for many to know Christ and for gospel-centered local churches to be rooted in their communities, sharing the good news with many. Dave shares more about this vision in our first quarter Mission Fund video. This region gathered together for the first time in August 2015 to plan and strategize about what God may have for this region. Their time together was successful in that God provided vision for this region and those gathered were encouraged in Christ. Please take time to watch this video and give thanks to God for his work in this part of the world. And, remember, we all share this mission: to reach all nations with the gospel for the glory of God. We believe God has called us to live out this mission by planting and strengthening churches, together. We partner together—financially and relationally—to fulfill this mission. We partner together because we love Jesus and want others to know Him. 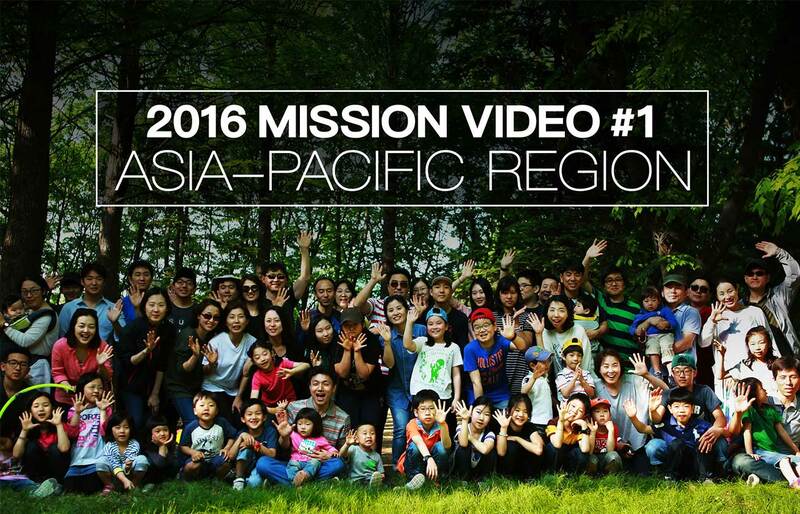 So let’s pray for the Asia-Pacific region—for Dave Taylor and the Sydney church, for Songwahn Kang and the Seoul church, for Nilo Ebo and his church in the Philippines. And as God answers our prayers, may more people be reached for Christ, and for the glory of His name alone.